As the snow slowly melts and we start to think about the upcoming wedding season, we are thrilled to introduce you to one of our couples who will be getting married at Hardy Farm this summer! Kelly and Ben knew each other in high school and they were both members of the school’s marching band. Though Ben would often drive Kelly home from various excursions, it wasn’t until a beach trip after their freshman year of college that the two hit it off romantically. We caught up with Kelly to find out a little more about this adorable couple! How did you get engaged?! I surprised Ben with a trip to Savannah, Georgia for Valentine’s Day week. Valentine’s week, of 2014, was one for the record books. There was a huge ice and snowstorm in the south the day we were flying in. After rerouting multiple times, we were able to get into Washington, DC only to find our flight to Savannah was cancelled. Being adventurous (and dumb), we rented a car and drove from DC to Savannah, through the ice storm. 14 hours later we arrived for what would be a life-changing trip. Ben convinced me to take a tour to the top of the lighthouse. We were quickly met with gates and caution tape since the lighthouse was closed. Ben became dejected that we were unable to take the tour. I didn’t understand, at the time, the big deal. We walked on the beach and found a very old porch swing hooked up in the dunes. After taking each other’s pictures with the lighthouse in the background, we sat and swung for awhile. Ben nervously started rubbing my back and went on this long speech about how much he loved me and my nerdy traits. A few lines into his speech, I realized what he was trying to say past all of his nervousness. I started crying as he got off the swing and knelt down on one knee in front of me. He had to ask me twice as he pulled the gorgeous ring out of his pocket for me to actually comprehend what was happening. After yelling “of course” and celebrating, he then explained that his intention was to propose to me at the top of the lighthouse and that he became that much more anxious by proposing on the fly. It was a beautiful accident we found that swing, but a moment that was so incredibly perfect, for us. 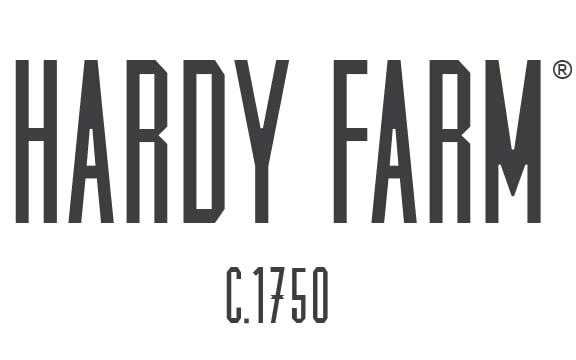 Why Hardy Farm? Ben actually discovered it after countless hours of Google searches and wedding blogs! We had been to numerous venues, but we hadn’t found the right fit until we toured Hardy Farm. The second we stepped onto the property we knew this was where we wanted to get married!! The white washed barn, the wooded cathedral, and the fact that our immediate family and close friends could stay with us all weekend were just some of the reasons we fell so quickly in love with it. Tell us about your wedding! we are expecting approximately 110 guests. Our wedding has a whimsical vintage travel theme. The travel theme is something that represents both Ben and I. We are both adventurers. We never say no to an adventure! We have traveled all over the world together and want to keep going! Our passion for “getting lost” is one of the things that tie us together. We wanted to showcase that at our wedding by displaying all the places we have been together as well as ones that we are going to this year! We are so excited to be working with a wonderful group of vendors! Our invitation suite as well as other decorations were original creations of Meagan Harrington Diaz of Tying the Knots shop on Etsy. Our talented and fabulous photographer is Carrie Pellerin! Catering will be done by the delicious Fire & Co.